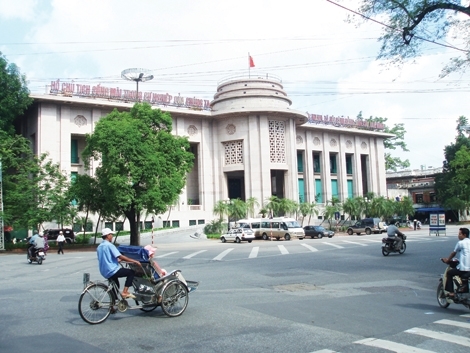 HÀ NỘI – The State Bank of Việt Nam (SBV) will closely watch credit growth and direct the credit flow into production in the remaining months of this year. SBV’s Governor Lê Minh Hưng said that the central bank would continue its flexible monetary policies in co-ordination with the government’s fiscal policies to put inflation under control, ensure macro-economic stability and support economic growth. Hưng said monetary policies would focus on removing difficulties for businesses, and added that the central bank was determined to stabilise interest rates despite the pressure of rising rates driven by expectations over inflation. “The central bank will direct the credit flow into prioritised sectors such as agriculture, part-supplier industry and high-technology while targeting small- and medium–sized enterprises and start-ups,” Hưng said. In addition, credits into sectors which were risky would be under tight management. The SBV would continue to announce a daily reference rate with the aim of stabilising the foreign exchange rate and the foreign currency market in line with the government’s goal of anti-dollarisation. From the beginning of this year, the central bank bought US$9 billion worth of foreign currencies, adding to the government’s foreign currency reserves. Regarding resolving bad debts, Hưng said that SBV was speeding up the compilation of the project on restructuring of credit institutions from 2016 to 2020 and would soon report the handling of bad debts by the Việt Nam Asset Management Company to the government.